We have an international reputation for excellence in research and make meaningful contributions regionally and internationally. 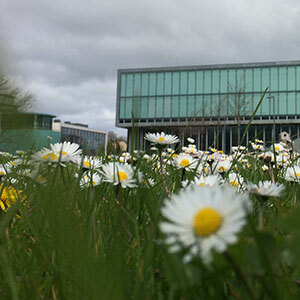 NUI Galway Science and Engineering education outreach is extensive. Research units facilitate outreach activities: the Ryan Institute (RI) for Environmental, Marine and Energy Research, the Regenerative Medicine Institute (REMEDI), the National Centre for Biomedical Engineering Science (NCBES), the Centre for Data Analytics (Insight), the Centre for Astronomy (CfA) and the Applied Optics Research Group (AO). Under the Microscope is a primary school microscopy outreach pilot programme, funded by EXPLORE, NUI Galway, and supported by the Royal Microscopy Society (RMS) and Anatomy, School of Medicine, NUI Galway. This programme aims to promote and explore core Science, Technology, Engineering, & Maths skills for children between the ages of 5-12. The RMS have kindly provided Microscope Activity Kits (MAKs) free of charge and for the first time to Irish primary schools, in the hopes that young children can be encouraged to develop skills key to the science curriculum and experience scientific activities in a fun and educational environment. These skills might include planning and design of experiments, maths, and team building activities which will focus on the four core curriculum strands. This outreach scheme is well established in the UK. It is our aim, that this pilot programme will provide the basis for advertising the benefits of such a scheme, so that within the next few years it will be established in Irish primary schools nationally. Please contact Dr. Kerry Thompson or Dr. Alanna Stanley for more information. 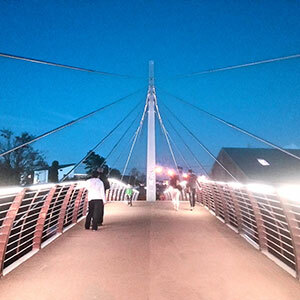 Insight designs projects to enthuse and to teach young people on how Science, Technology, Engineering and Mathematics can change the world for the better is a key objective of Insight. 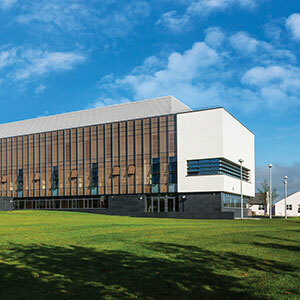 The centre operates an extensive Outreach programme for primary and post-post primary schools across Ireland involving computer coding courses, local heritage digital archiving activities, mobile apps workshops and inter-school science debates. Personnel from the institute also give talks to young people on such topics as the importance of Innovation, Internet Safety and Cyberbullying Awareness, and on the exciting career opportunities being presented in our ever-changing world. AO’s Primary School Outreach Programmes are tailored to the curriculum concentrating on Optics and Light. The programmes may be delivered in the schools or on site at the AO Research Centre. RI have developed a series of interactive workshops aimed at promoting positive environmental awareness and support through the SESE curriculum. At the Engineer's Week, NUI Galway staff and students from Information Technology, along with other disciplines of the College of Engineering and Informatics host a day long event, attracting over 120 Galway primary school pupils. The event offers primary school students the opportunity to interact with and see demonstrations of practical applications in all branches of engineering, including Information Technology. The Engineers Week is part of an annual national initiative to spark awareness and enthusiasm about the engineering profession to people of various ages with little or no engineering background. As part of the Information Technology's presentations a challenge was posed to the primary school pupils to solve a mathematical clue to determine how many sweets were in a jar. REMEDI’s Secondary Schools’ Science Essay Competition is sponsored by Medtronic and receives over 120 entries a year. This competition is open to include senior cycle students in Northern Ireland. "Debating Science Issues" the Wellcome Trust-sponsored debate competition, entailed the facilitation and delivery of 3-hour ethical workshops on embryonic stem cell research to 124 students in 8 schools throughout Co. Galway. AO delivers Transition Year Programmes and have designed and taught a pilot programme on the curriculum chapter “light” for the Junior Certificate programme. AO also facilitate on site presentations and laboratory tours suitable for second level. Insight, the NCBES, REMEDI, the RI, and AO, work together to facilitate full-day transition year tours for students interested in pursuing science at third-level. The demand for these tours are high. Fourth-year biology teachers-in-training from St. Angela’s College, Sligo visit and tour REMEDI and the Biochemistry and Anatomy laboratories and to receive brief lectures. A thirty minute talk on the contemporary scientific issues addresses REMEDI’s education and outreach programmes with a subsequent question and answer session. The RI facilitates “outreach workshops” for postgraduate students interested in developing and delivering their own outreach programmes for schools and communities. Postgraduate NUI Galway students volunteer with all outreach programmes, sharing their time and expertise while gaining experience and opportunities to build on their skills. Regular organisation of public seminars, conferences and lectures involving NUI Galway researchers and external experts can be found here. Insight facilitates a variety of workshops and short courses on the subjects of podcasting, film production, internet awareness, for example. The CfA is committed to public understanding of science in general and of astronomy in particular. Members of the centre regularly give public talks and lectures and participate in many science outreach activities. In 2014, A team comprised of 5 Masters in International Finance students from NUI Galway won the Chartered Financial Analysts Ireland 2014 Research Challenge. In autumn 2011 we are continuing our programme of Open Evenings at the Imbusch Observatory and public lectures. Each talk, given by a member of the CfA, will discuss a particular area of astronomy normally linked to their research interests. Talks will be suitable for everyone and in particular to 2nd level students. A fresh new year awaits us, a chance to kick start a new volunteer programme, renew the energy of an exisiting programme or involve NUI Galway with your work. Exhibitors are welcome from NGOs, charities, community groups, schools, hospitals and semi-government bodies. All welcome to have a stand at the annual Volunteering Fair and recruit student volunteers, share your work and passion, create links with academics and researchers. Over 2,000 students visited last years event and 80 organisations exhibited, don't miss out! Engineer's Week is a week-long programme of nationwide events with the aim of celebrating the world of engineering in Ireland. The week aims to create a positive awareness and spark enthusiasm about the engineering profession to people of all ages, especially students and their teachers and parents. Engineers Week is entering its ninth successive year. Engineers Week 2014 was the biggest and best Engineers Week yet, with 500 events across the country and a massive 36,000 participants. Sea2Sky is a free, family-oriented event at which hundreds of scientists will showcase their work in the fields of Marine, Atmospherics and Astronomy. The event will also feature music and entertainment for younger and older visitors. 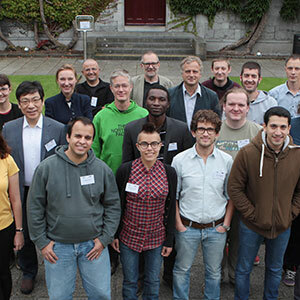 Sea2Sky is being organised by NUI Galway, in collaboration with the Marine Institute and Galway Atlantaquaria. Exhibits throughout the day will allow the public to learn more about whales and dolphins, take a 3D tour of the universe, tour the Galway Atlantaquaria, check-out scientific demonstrations, and take part in a variety of other hands-on activities. Scientists will be on hand in the main exhibition hall in Leisureland where stands will display areas of science from energy research and marine life to the study of the solar system. Visitors will have a chance to explore the mini-sea exploration vehicle which was used by scientists in the recent discovery of hydrovents deep in the Atlantic. 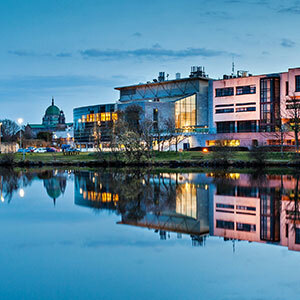 Off campus, NUI Galway has a strong presence at local and national science fairs and science education promotion events such as the Galway Science and Technology Festival and World Ocean’s Day. In 2009 the RI had an interactive stand marine-based research at NUI Galway for visitors to the Galway Volvo Ocean Race Festival, and are currently working with the Volvo Ocean Race Festival team “Let’s Do It Galway” to organise a large contribution for the 2012 festival. 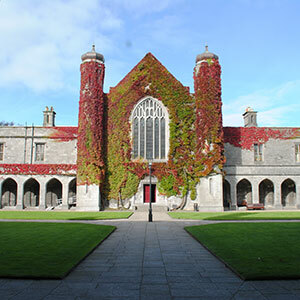 On campus, annual Research Days, such as those held by the College of Science and by the RI, are designed to promote interaction between the public and NUI Galway’s research community. 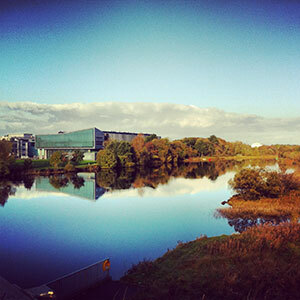 Bridging into the area of 'knowledge transfer' various industry open days are important outreach events for NUI Galway. Launch and networking events attract a large number of local and national industry representatives. The RI actively supports industry-academic engagement, through visits and exchanges and network participation. Most recently, the RI has become a key member of the Galway County Council led Galway Renewable Energy Enterprise Network (GREEN). Insight holds a series of seminars throughout the year on web technology research for the benefit of the business sector.